In our 2017 large-scale consumer retail study, we tested different products to better quantify the value of color in today’s food and beverages. This research was an online quantitative study where consumers judged product concepts solely based on images. Interestingly enough, consumers associated greater color intensity with better taste and more flavor in 89% of the tested products, even though zero taste-testing was involved. Consumer verbatims about the ‘high colored’ concept also echoed positive sentiments for its flavor perception. 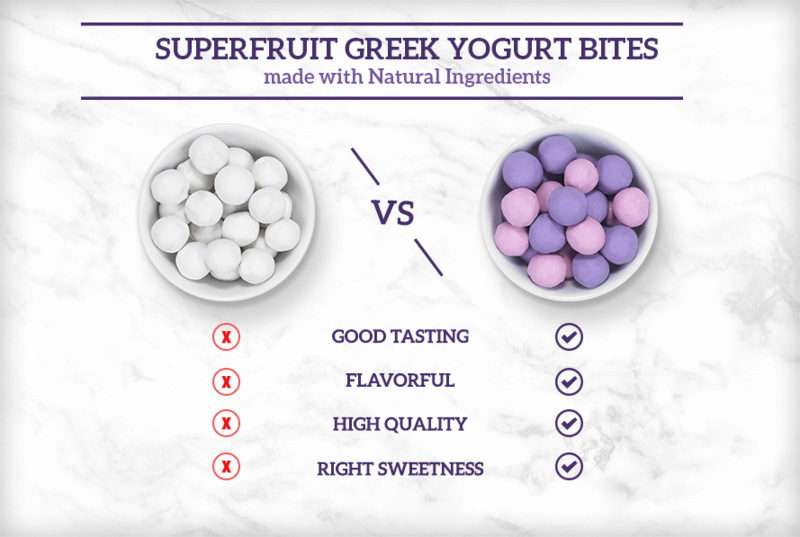 What’s noteworthy in the Superfruit Greek Yogurt Bite example is the flavor perceptions are all being solely driven by visual appeal since taste testing was not a part of this study. Obviously, the taste will need to live up to the consumers’ expectations delivered by the color. 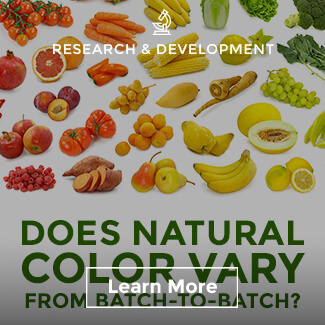 Natural food color should never impact a product’s taste. It is accurate that many natural color sources have the potential to impart off-notes in certain applications, but this is an area where significant progress has been made in the natural color industry. Generally when working with natural colors there is more complexity, but as you learned from the video a solution is almost always available. Color from fruits and vegetables should offer brands a competitive advantage, not compromise consumer appeal. The Pure-S™ technology is a great example of how far the industry has come. It has opened new shade possibilities by making natural sources that were previously unsuitable for some applications now available. When I look at our data on the influence of color on taste perception, it’s very clear just how closely color and flavor work together. One shouldn’t work against the other, and they are both equally as important when it comes to winning over consumers. In some cases, we can provide integrated color/flavor systems by leveraging the expertise of Sensient Flavors. Interested in natural color free-from all compromises? You can begin trial work by requesting color samples here or setting up a consultation with one of our experts. Wondering if natural colors are less stable than artificial colors? Learn the truth about this natural color myth here.